This event was added to our website on Tuesday 17 September, 2013. 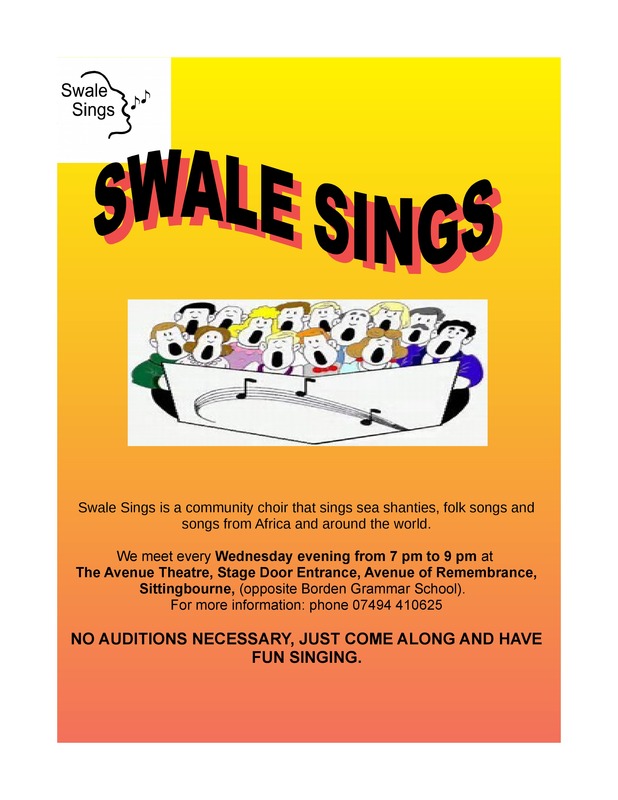 Swale Sings is a community choir based in Sittingbourne and meets on Wednesdays at 7pm at the Avenue Theatre. The choir sings songs from Kent, Africa and the rest of the world, led by the highly acclaimed Lucky Moyo. The choir is inclusive and welcomes new members whatever their ability; we all want to enjoy and celebrate the act of singing.